I love to go to bed early so I often take my make up off as soon as I get home from work or around 7/8 pm, its not unusual for me to be in my jammies in bed by 9pm -rock and roll lifestyle that I lead! I start with a micellar water or eye make up remover to get rid of most of my mascara but to be honest I’m struggling to find a good cruelty free micellar water – if you have any recommendations please comment below! Im using the the Superdrug B.Pure Micellar water atm but yes it does the job it stings my eyes a little which isn’t ideal! 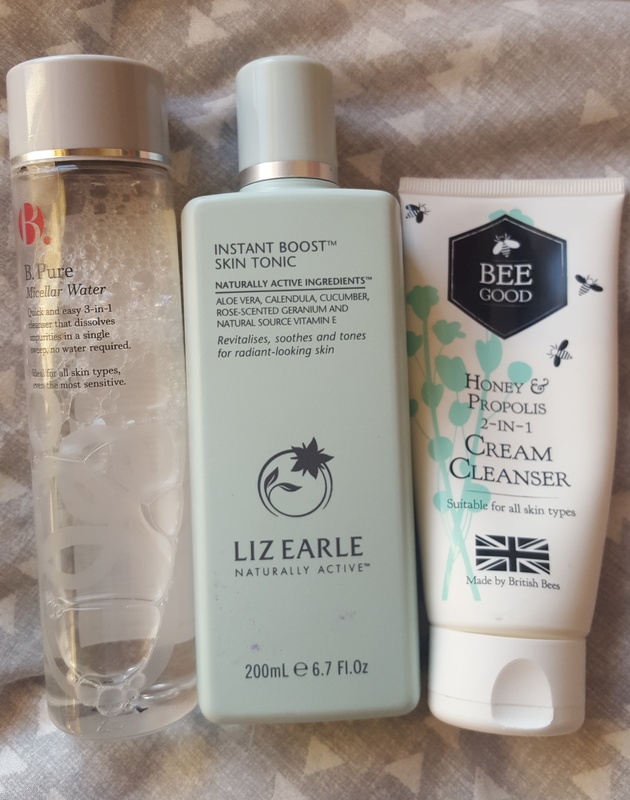 Next up is cleanser , Beegood Cream cleanser , which I use in the morning with a muslin cloth but I tend to work the product more in to my skin to really get the last bits of make up off. 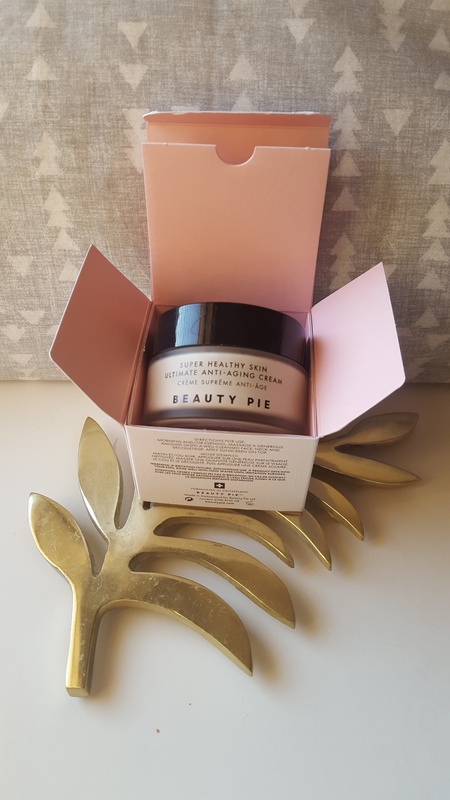 I tone with Liz Earle skin tonic , soak two cotton pads and wipe all over face and then follow with my Beauty Pie Super Healthy Skin Face moisturiser. one of the best face creams I have ever used , its evened out my skin tone and made my face less oily and less dry so perfect for my combination skin type. I will apply an eye cream mainly at night so it can sink in and work overnight and my favourite so far is Liz Earle Superskin eye cream but I’m still searching for a wonder eye cream. 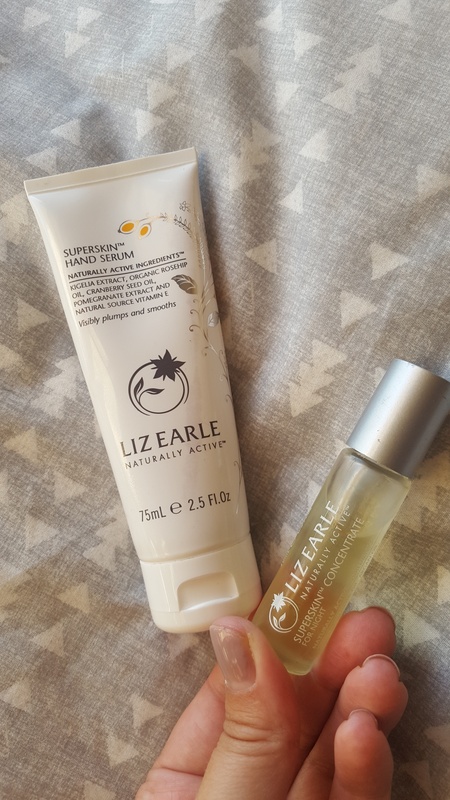 Once I get into bed I like to use two more Liz Earle products, the superskin hand serum and the overnight oil which smells dreamy and helps to relax me as I sometimes find it hard to drop off to sleep. I use pure sweet almond oil in a pump bottle to remove eye make up (I use waterproof mascara), works wonders and doesn’t sting, only a few pounds and lasts ages, also doubles up as a body moisturiser. Sounds like it would smell lovely too! where do you get it from? I have thought about using coconut oil too but my current pot is used for cooking so has a few food bits in it too lol lol might need to get a dedicated pot for just beauty uses!